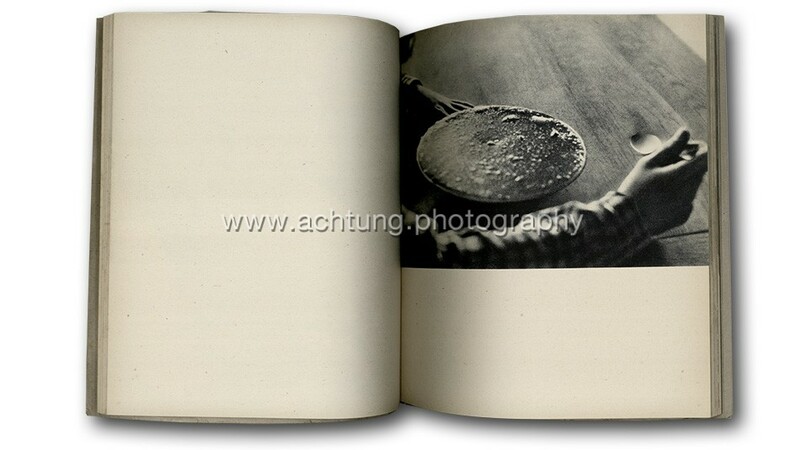 Abeceda duševního prázdna (Alphabet of spiritual emptiness) is one of those photobooks which once seen will never be forgotten. 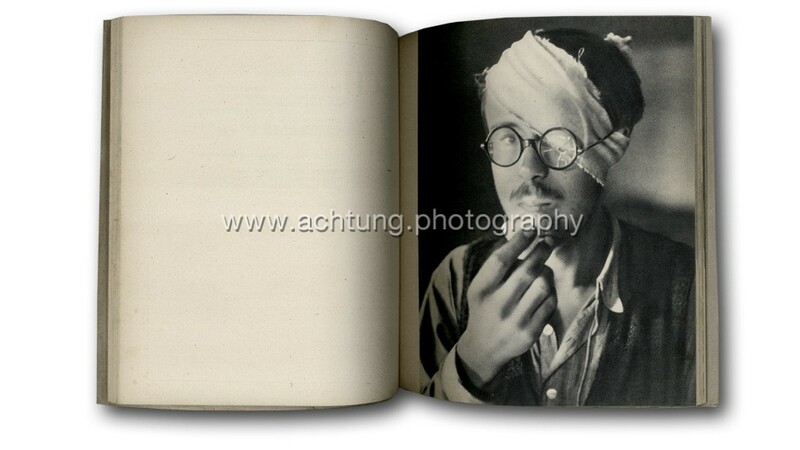 In September 1942 young Czech photographer Zdeněk Tmej was taken to a Nazi work camp in Breslau, Prussia (now Wrocław, Poland). He was forced to work at the train station loading and unloading. 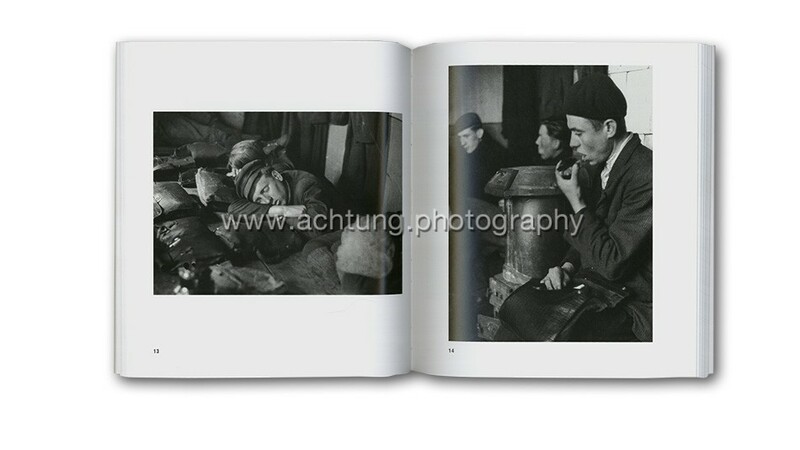 He had managed to bring two cameras with him and was able to photograph the daily life of the camp and its surroundings. 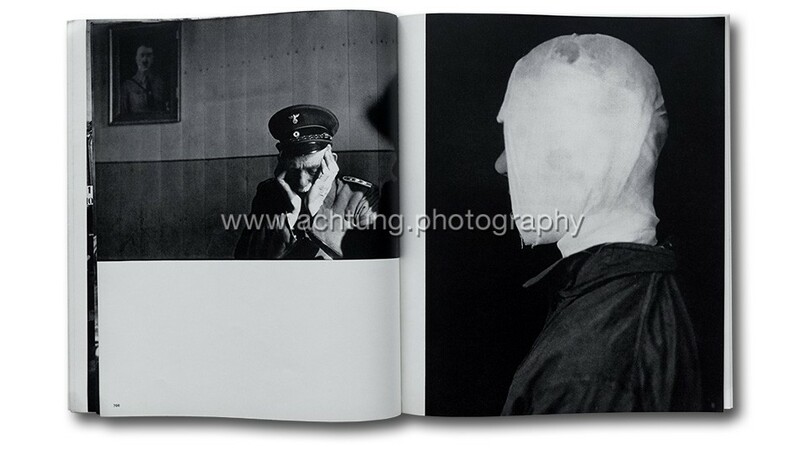 What makes this book particularly touching is the combination of Zdeněk Tmej’s sensitive visual approach paired with the striking simplicity of the book itself. 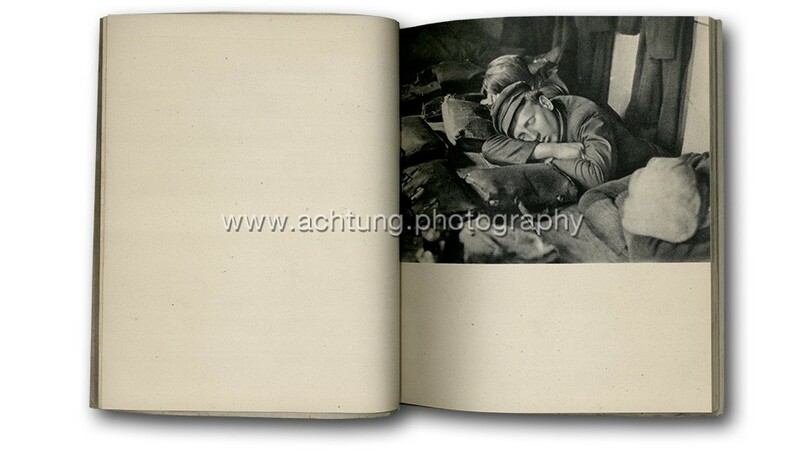 His images are quiet, especially throughout the first part of the book. 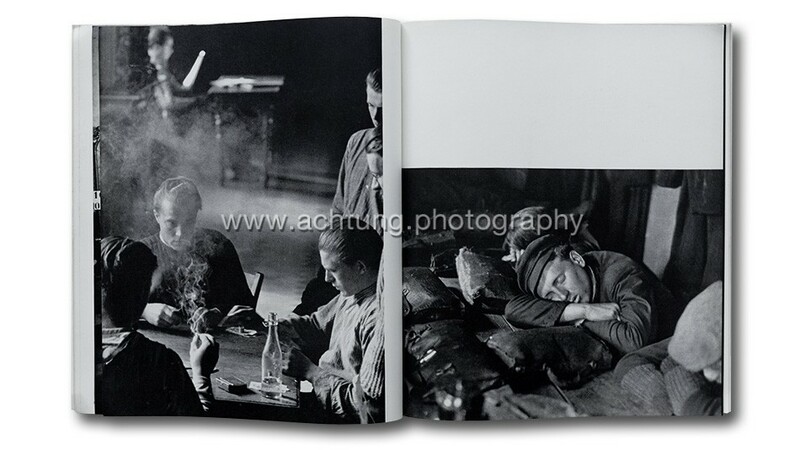 His photographs certainly do seem to reflect moments of spiritual emptiness, as he points his cameras at exhausted or sleeping male inmates, or into deserted corners of the rooms. His photography maintains that feeling even when he steps back to show entire interiors. 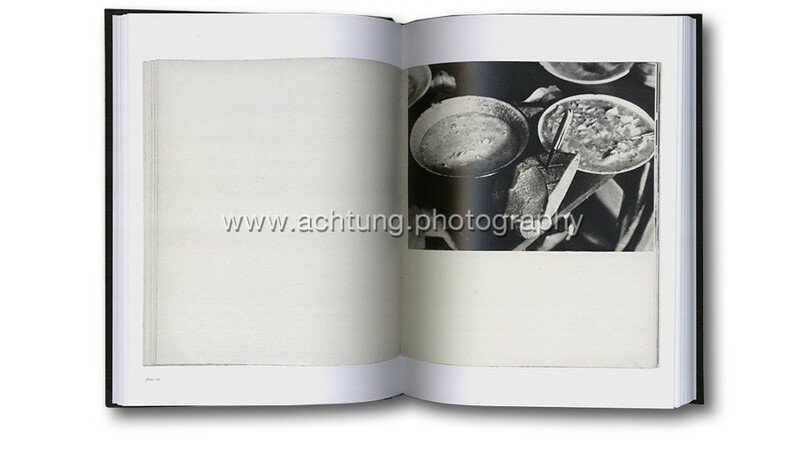 He documents the simple things, such as resting, eating, or presents ‘still lives’ of meals. 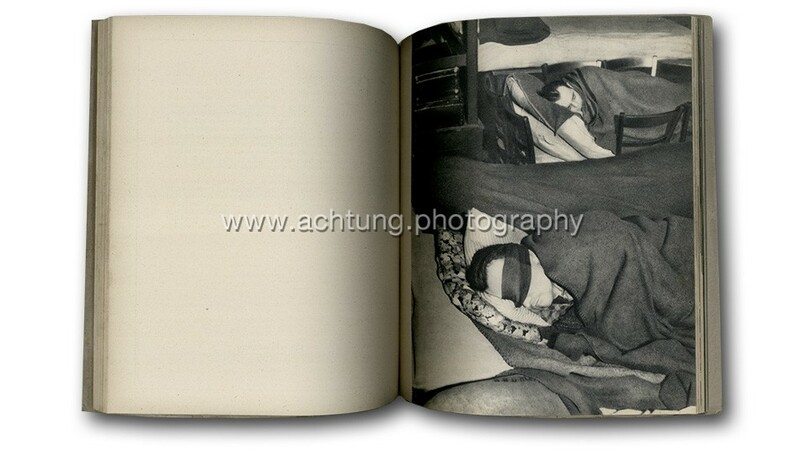 He captures the exhaustion in his inmates’ faces, as a sense of exhaustion spreads throughout the book: a silence or emptiness that gives the book its title. 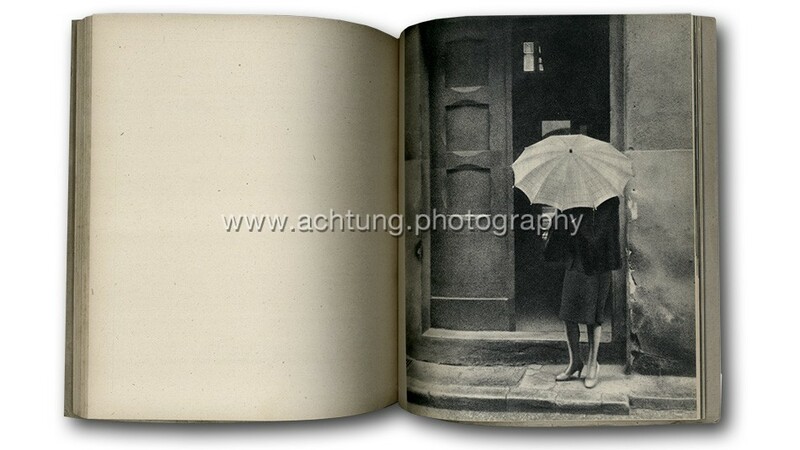 In the latter part of the book he shows also some images taken of exteriors. He also points his camera at visitors, and even the female inmates who were forced to prostitute themselves in a brothel specifically set up for foreign workers and visitors to the camp. Tmej handles all these subjects with a certain respect. Tmej managed to escape the camp in 1944. 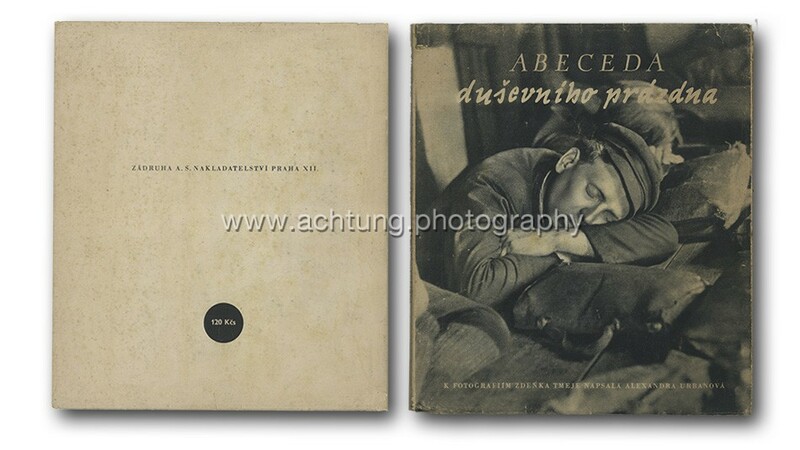 The dust jacket is a wonderful example of striking Czech graphic design. 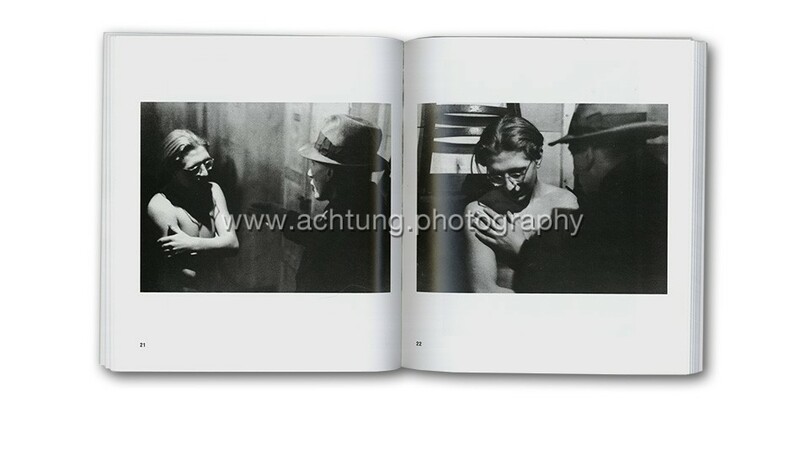 One interesting thing to note is that the cover photograph – also used inside the book – was cropped and flipped horizontally for the dust jacket illustration. The original price of 120Kčs is printed on the back of the jacket. 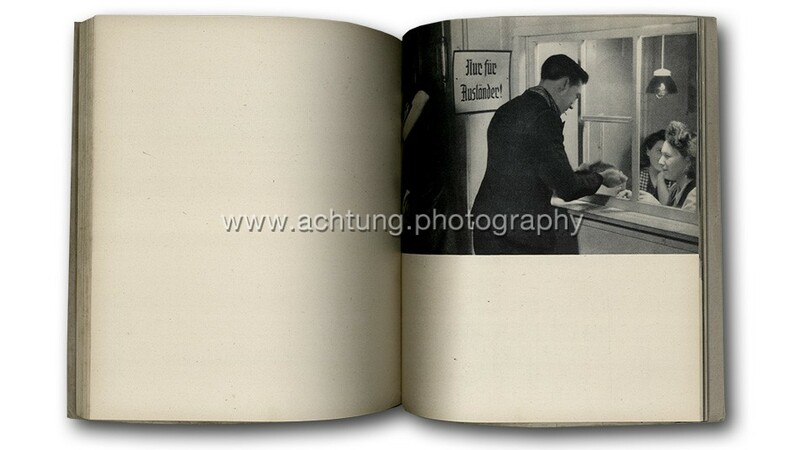 The images are printed in sheet-fed gravure and placed only on the right pages. 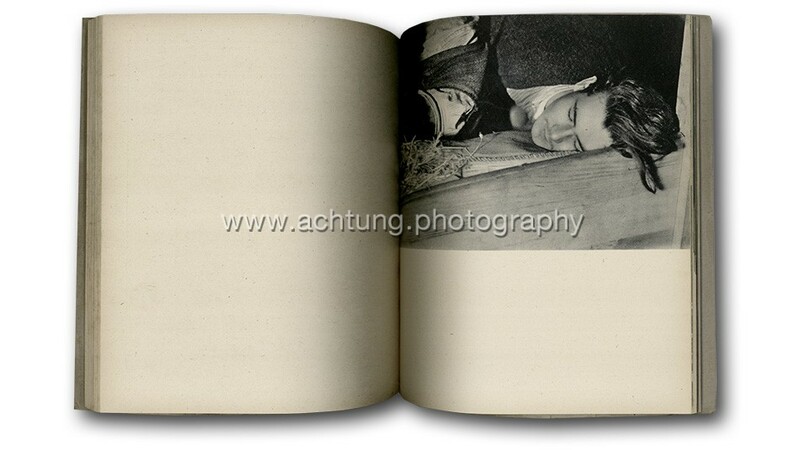 Each page of the book is only printed on the front. 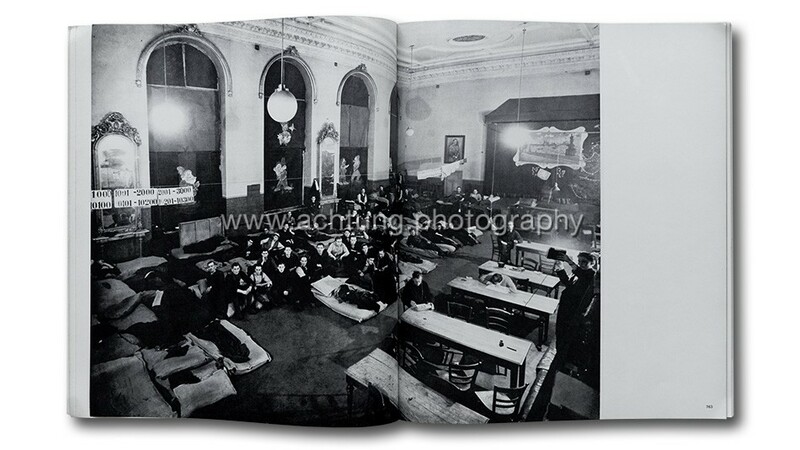 Several photographs were flipped, presumably to better fit the layout. 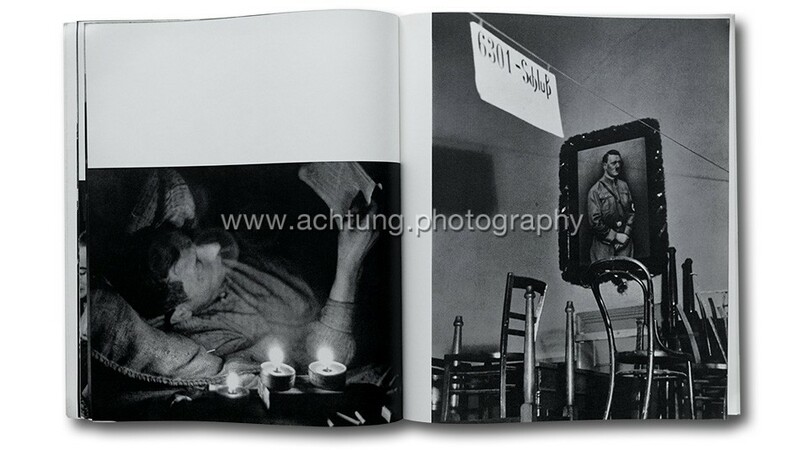 This is most prominently evident in the photograph used on the cover, as mentioned above. 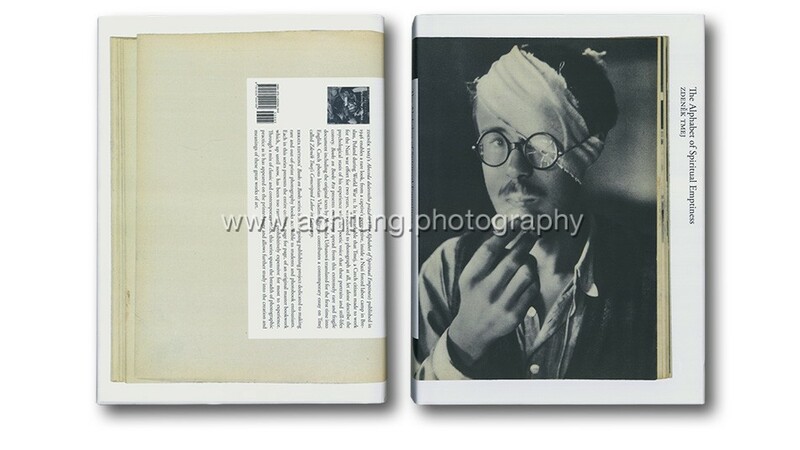 The fragile soft cover book is produced with thin paper stock that is stapled and glued into plain grey card covers. 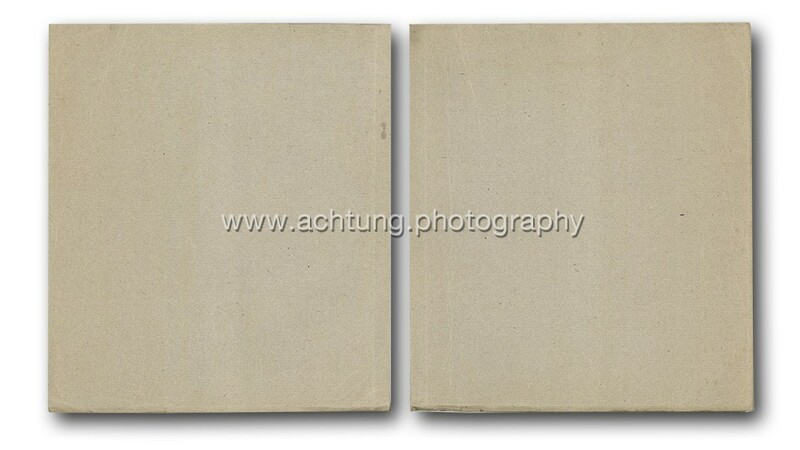 The dust jacket is also made of extremely thin paper. This combination of extremely fragile materials makes the book rather rare to find in a well-preserved condition. 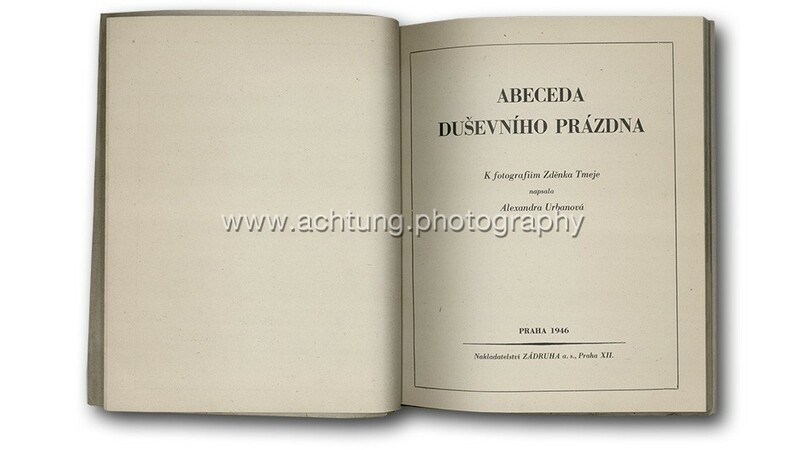 Tmej Zdeněk, ABECEDA – Duševního Prázdna, 1946. 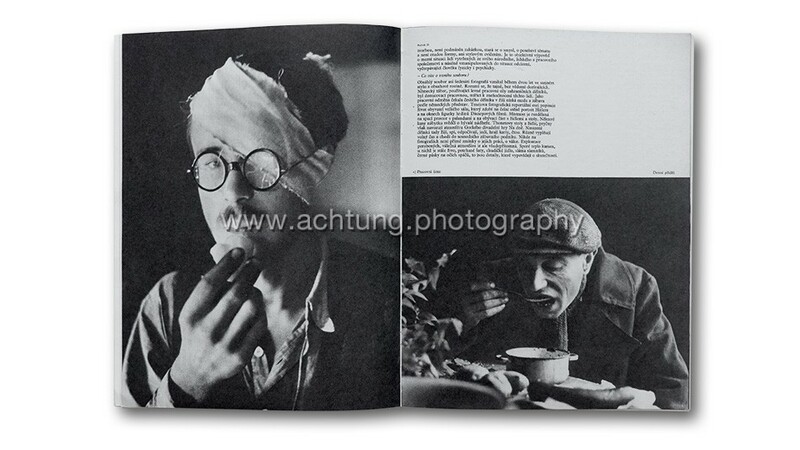 Czech photography periodical Revue Fotografie published a large portfolio of Zdeněk Tmej’s forced labour Breslau series in their January 1975 issue. 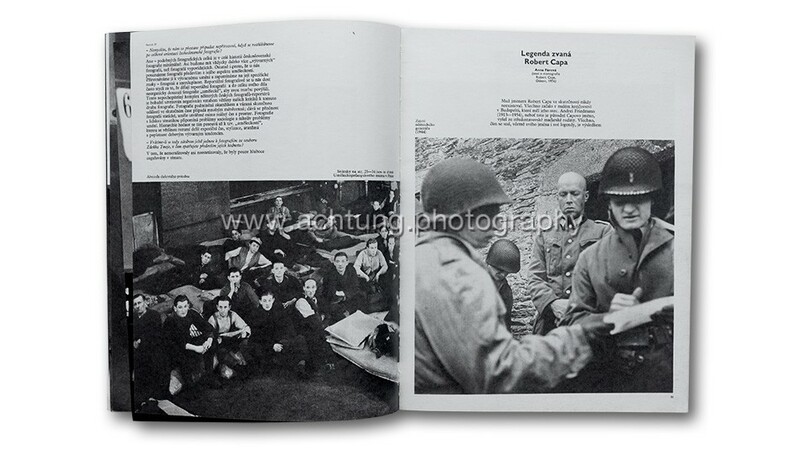 The 10-page spread is entitled Ročnik 21 fotografie Zdeňka Tmeje z let 1943-1944. The layout and printing quality is excellent. 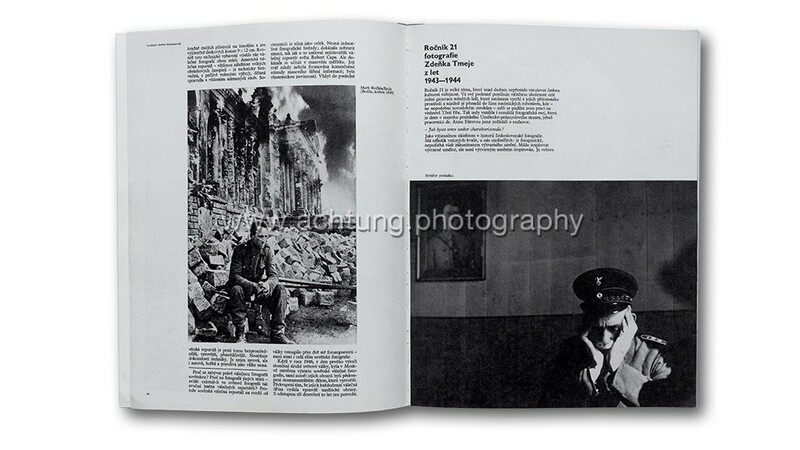 This issue of Revue Fotografie focuses on war photography and also showcases works by Philip Jones Griffith, Anatolij Garanin, Jovan Dezort, Robert Capa, Galina Saňková, Georgij Lipskerov, Henri Cartier-Bresson and others. 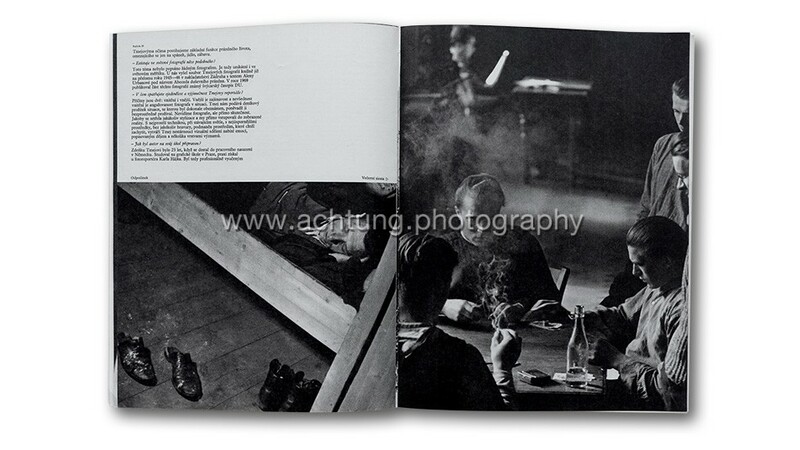 Swiss art magazine DU – Kulturelle Monatsschrift published a twelve-page portfolio in their October 1969 issue. 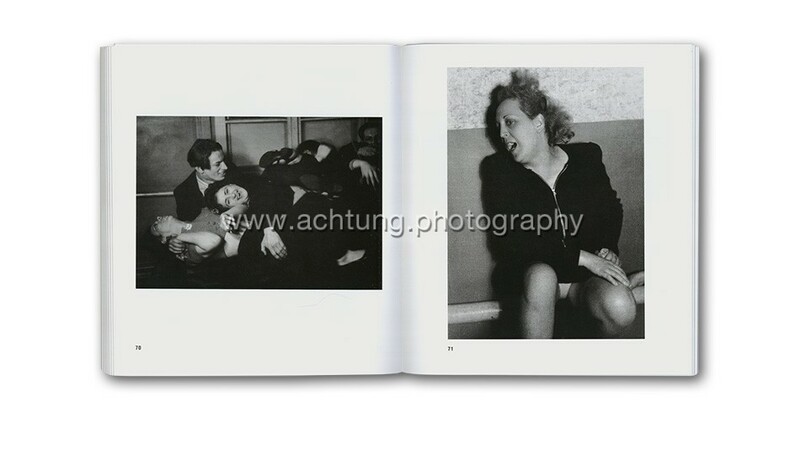 This was a rare opportunity to see the images printed larger than usual. 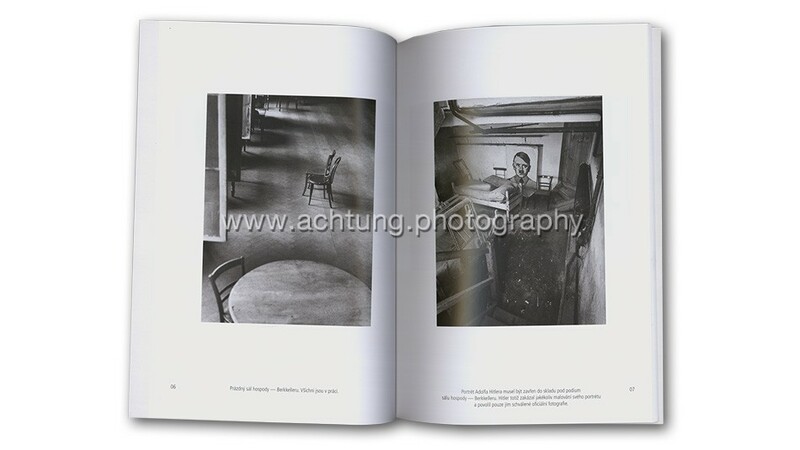 The layout is bold and the gravure printing quality is excellent. 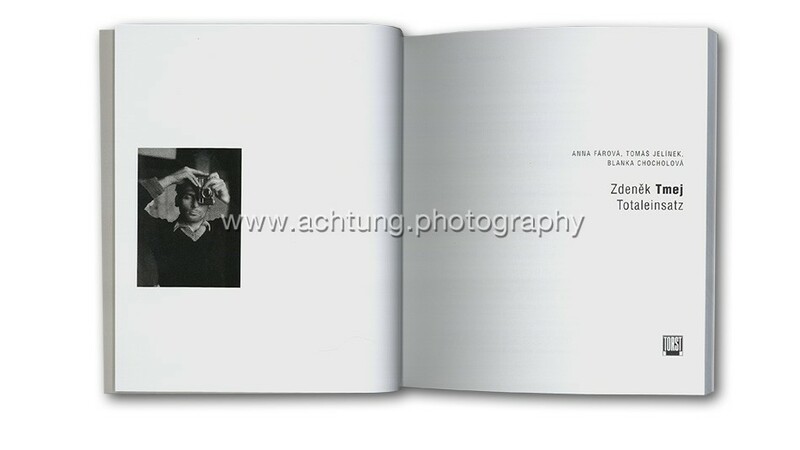 The portfolio is entitled Ein Bilddokument von Zdenek Tmej TOTALEINSATZ ( A picture document by Zdenek Tmej TOTAL DEPLOYMENT) and introduced with a short text by Gustav Solar. 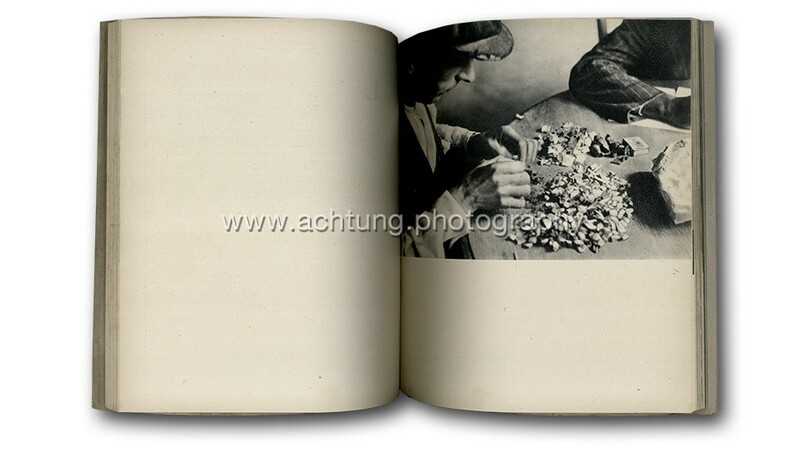 This small unpretentious publication contains 32 of Zdeněk Tmej’s photographs from the forced labour Breslau series. 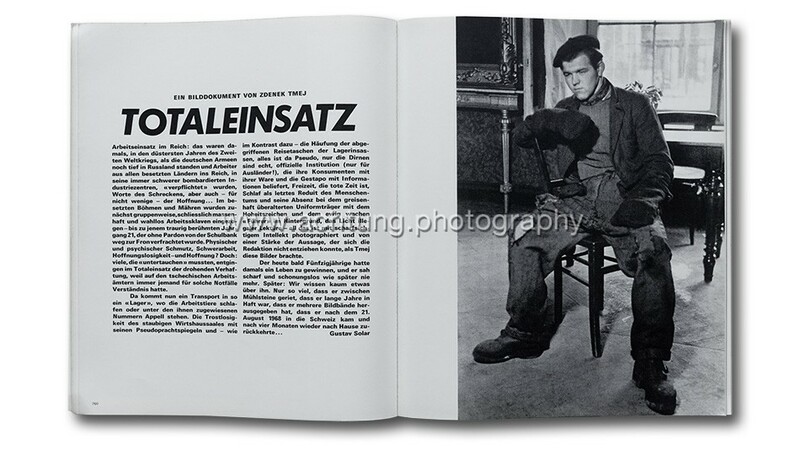 The images were chosen from a preselection of 70 pictures hand-printed by Zdeněk Tmej specifically for this publication. 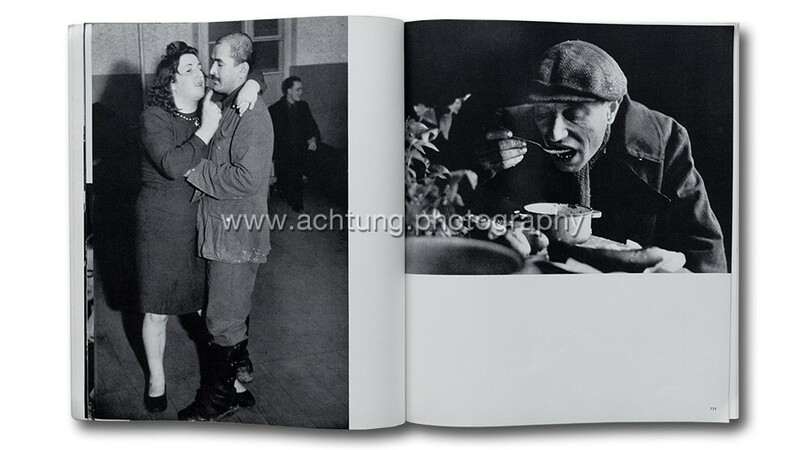 The printing quality of the photographs in the book is beautiful. The simple cardboard cover with the mounted title underlines the spirit of this publication’s content. 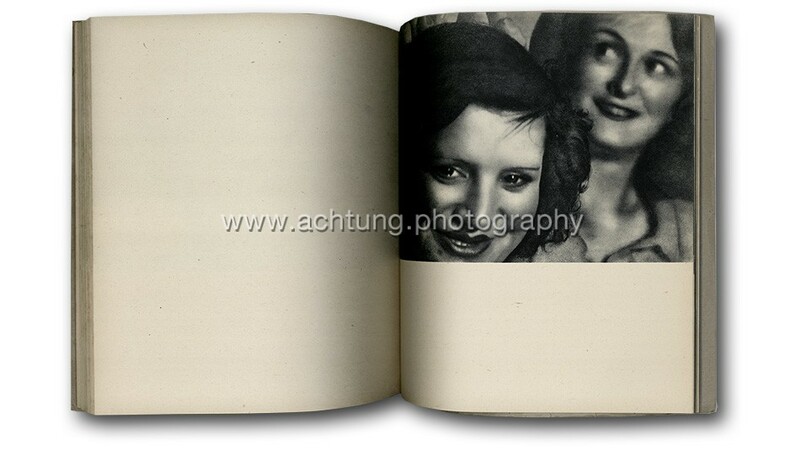 The descriptive image captions and the text are based on Zdeněk Tmej’s own memories. In Diethart Kerbs’s text at the end of the book, Tmej recalls that a brothel barrack for foreigners was erected next to the camp where he worked. Prostitutes from the streets and night clubs of Poland, France and Czechoslovakia were brought there and forced to work. 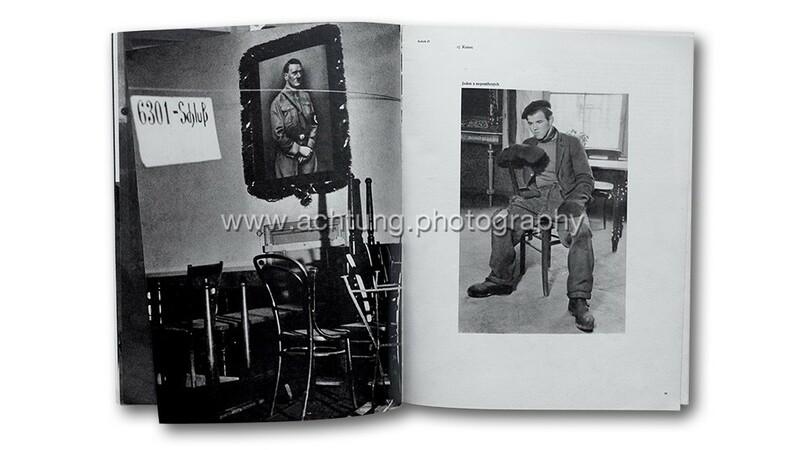 This small format soft cover publication features 88 of Zdeněk Tmej’s forced labour Bresslau series photographs. 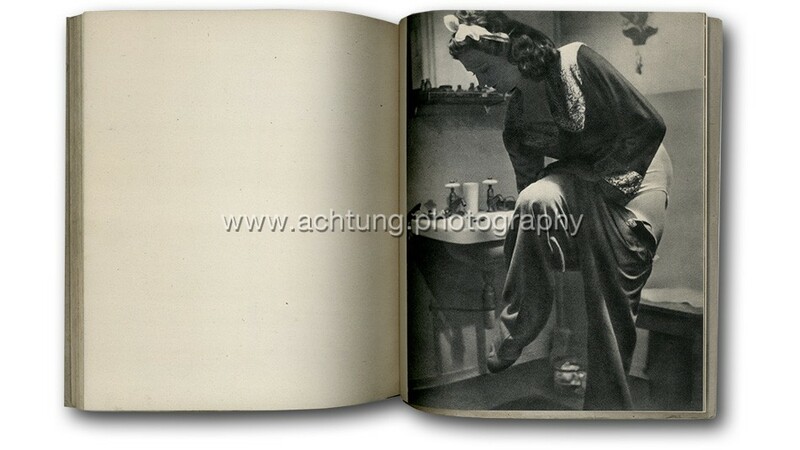 Only 45 images from the series had been published previously. The book offers also biographical and bibliographical information. 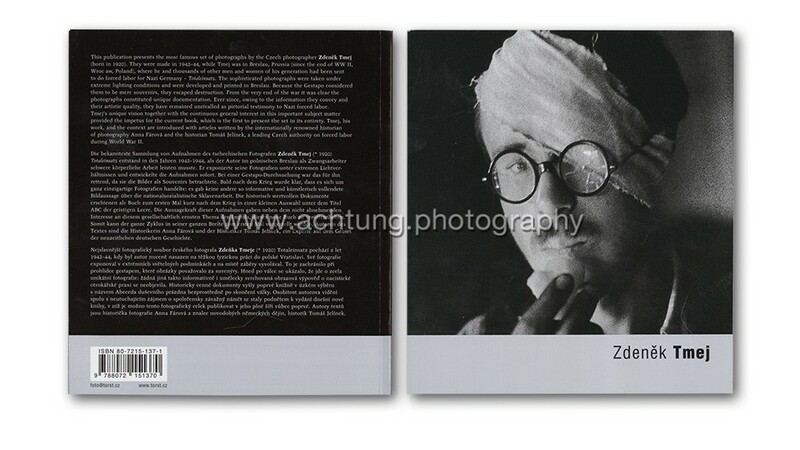 Zdeněk Tmej, – Totaleinsatz is published as the fifth volume in the Fototorst series. 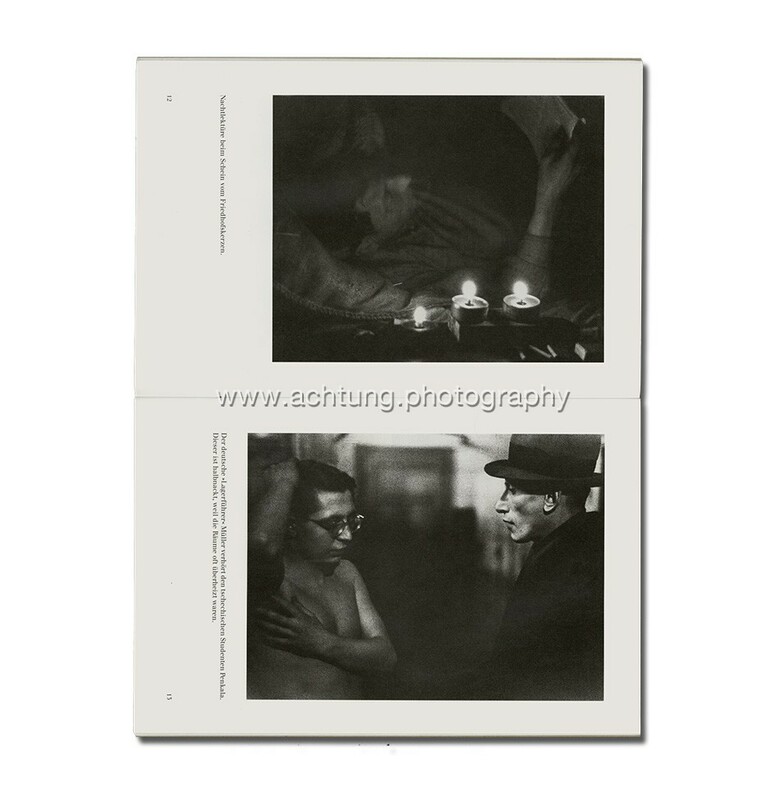 This monographic series showcases outstanding Czech photographers. 38 volumes were published between 2000 and 2013. 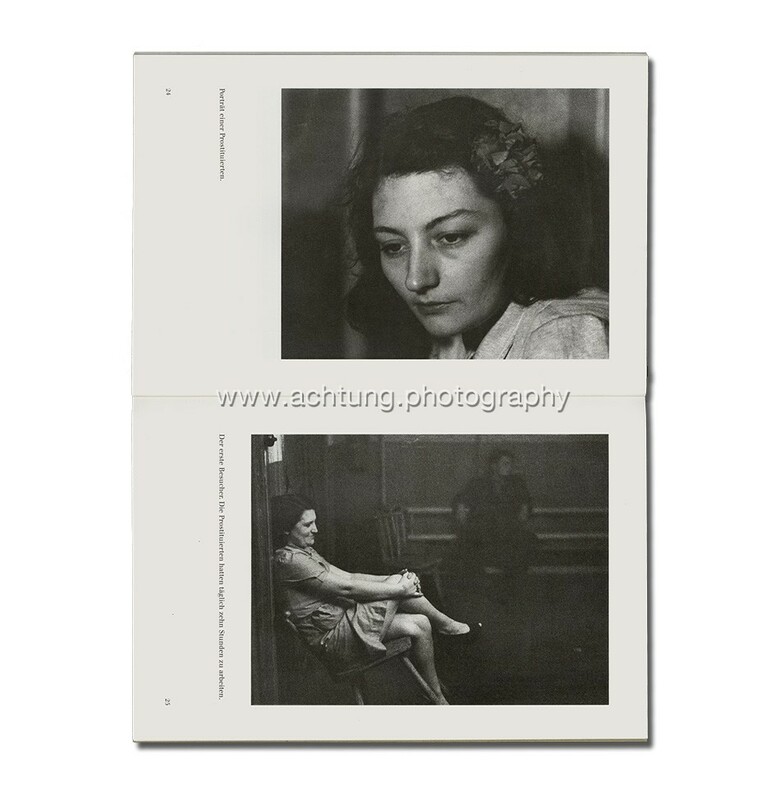 Small format exhibition catalogue. 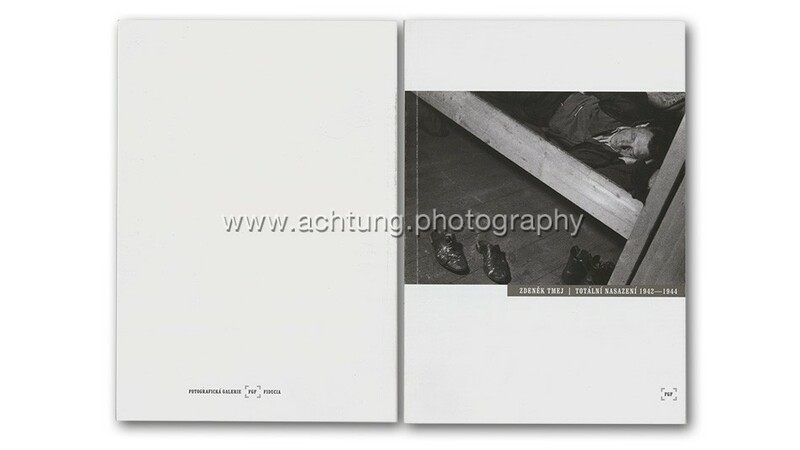 Features 28 works from Zdeněk Tmej’s forced labour Bresslau series. 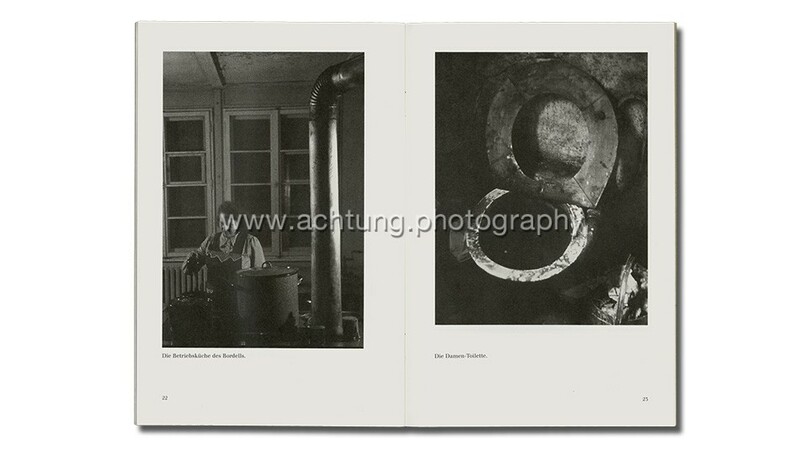 Published by Fotografiká Galerie FGF Fiducia. 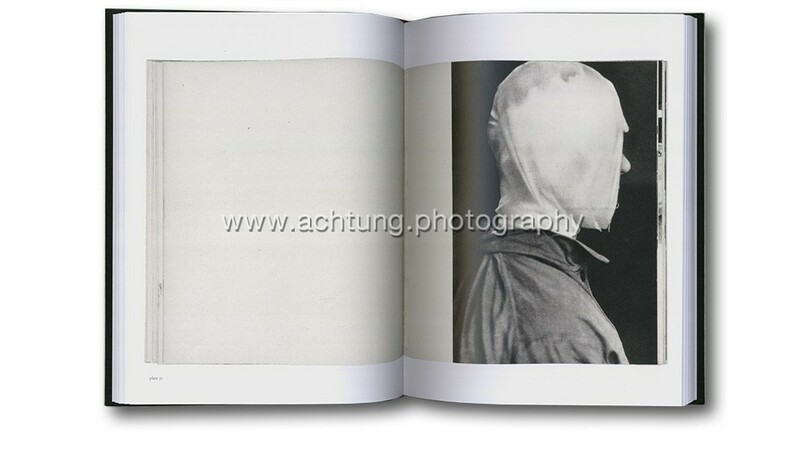 The Alphabet of Spiritual Emptiness was published by Errata editions in the series of Books on Books. 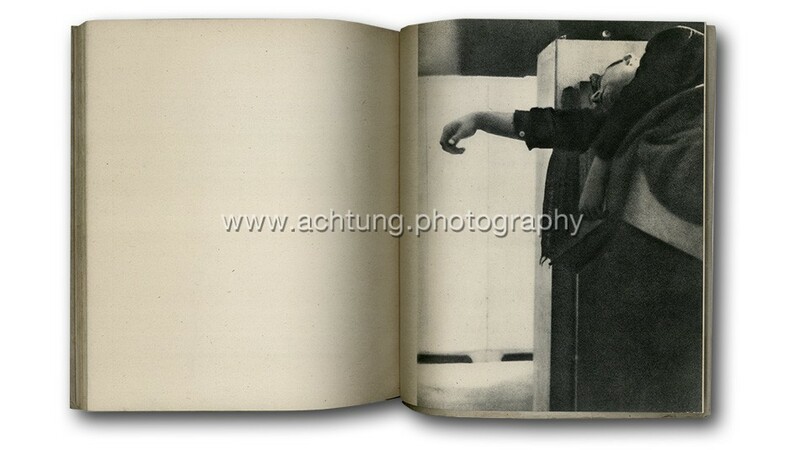 This series focuses on re-photographing and researching rare and out of print photobooks. As these original titles are now very rare, this is a great way of celebrating outstanding books and making their contents available to a wider audience. 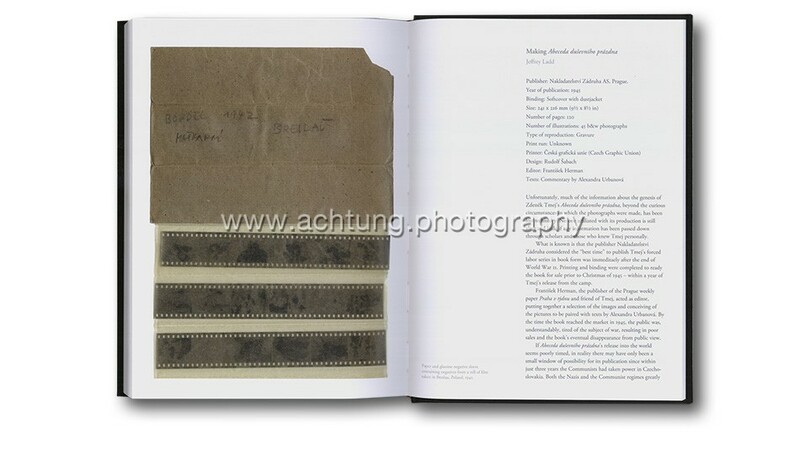 After the main body of the book showing the pages of Abeceda duševního prázdna, come reproductions of various ephemera such as negative strips (and their envelopes) and documents pulled from the B&M Chochola Archive. www.vaclavchochola.cz. The original text is translated into English by Alexandra Urbanová. 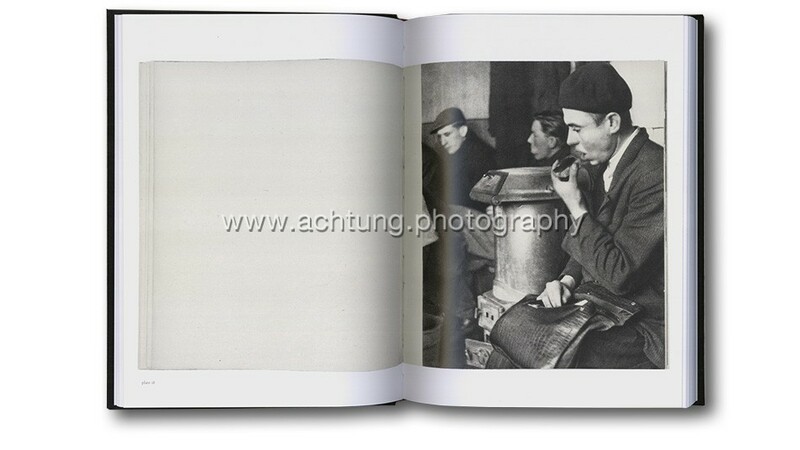 The copy used to make the reproductions from came from the library of photographer Chris Killip. 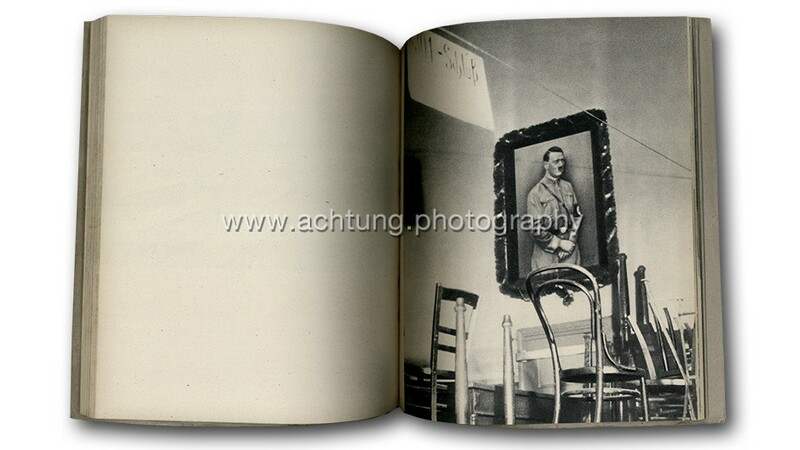 Unfortunately this copy lacked four photographs (eight pages) published in the original edition. This is the reason why these pages are absent in this publication. 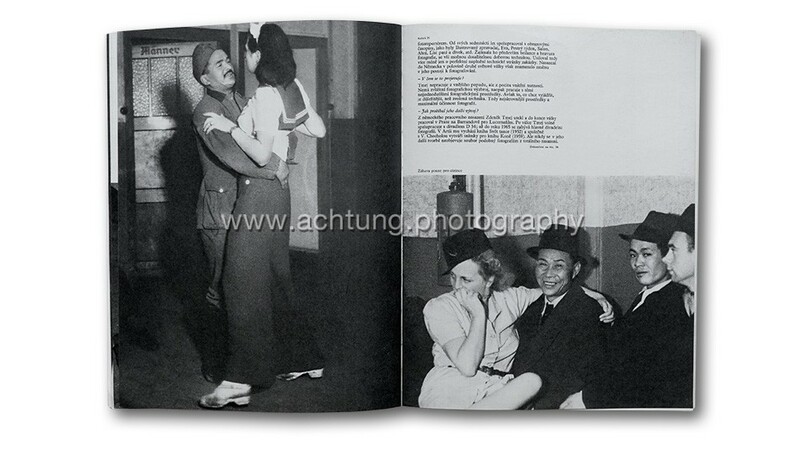 The world of dance: folk dance and ballet in Czechoslovakia, Spring Books London – Artia, Prague, 1955. Hard cover, dust jacket. Die Welt des Tanzes. Volkstanz und Ballett in der Tschechoslowakei. Artia, Prague, 1955. Hard cover, dust jacket. 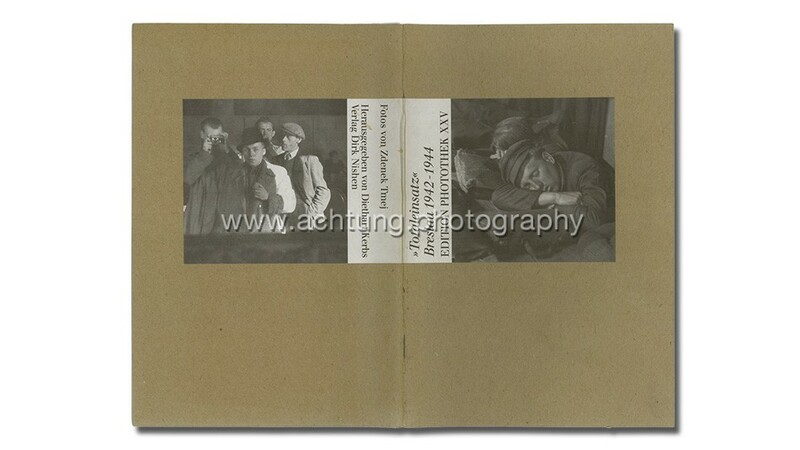 Photographs by Zdeněk Tmej, text Jan Rey. Horses at Home, Spring Books, London 1959. Hard cover, dust jacket. Pferde. 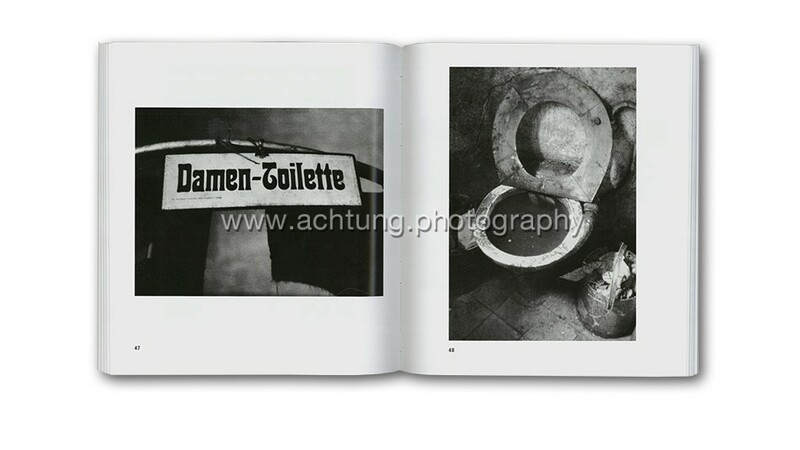 München: Süddeutscher Verlag 1959. Hard cover, dust jacket. Chevaux et poulains, Del Duca 1959. 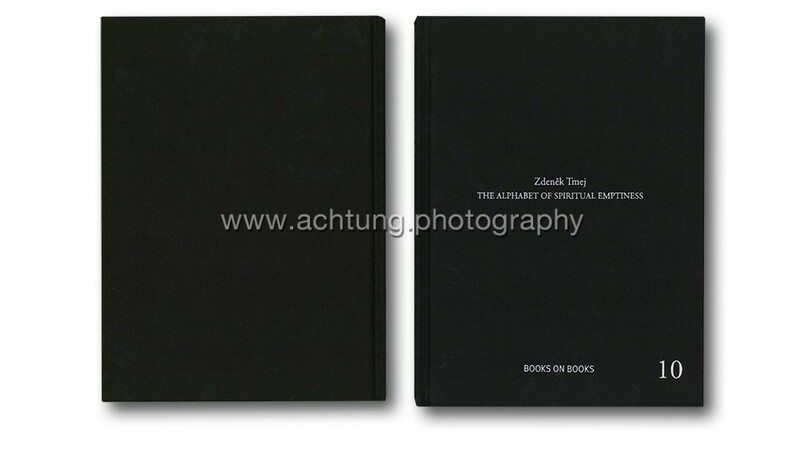 Hard cover, dust jacket. 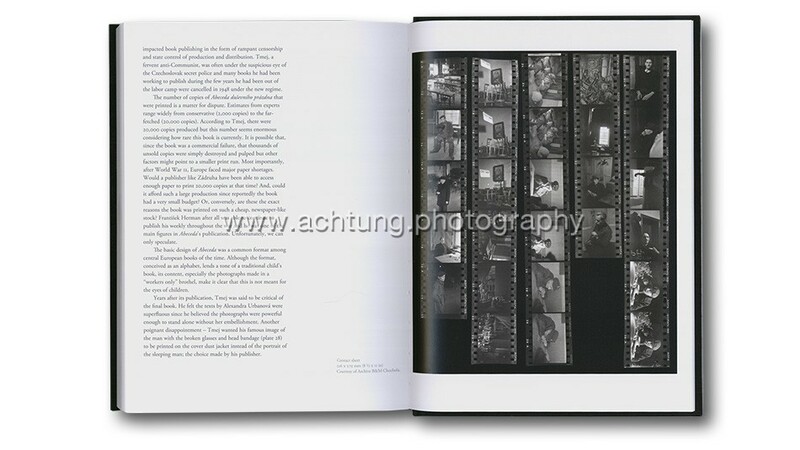 Published by Asociace fotografu, Praha 1999. Soft cover.